new season. and a few new projects. 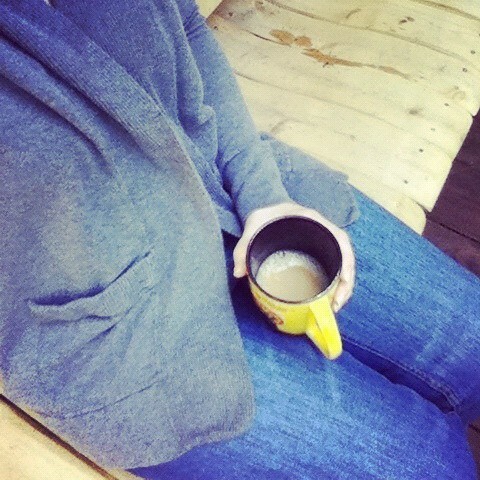 It was sweater weather yesterday morning on the porch. Scott did a little yard work, and the baby was napping. Jude and I headed outside so he could play and I could sit lazily on a swing and drink a second cup of coffee. It was the perfect way to start the day, and even though it’s beginning those few weeks in Georgia when you have no idea how to dress because mornings are 55 and afternoons are 80, it’s a promise of the season to come. And I won’t comment on all the trite details of the season – yay pumpkin recipes! And spiced Chai! And boots and sweaters! – because that’s everyone’s Facebook status right now ad nauseum. But really it is such a nice new fresh page, the way fall arrives in Georgia. It’s so sudden that it’s a surprise hello and a breath of fresh air that is sorely needed for most of us. I love that. A few random happenings in my world….. I am trying the Thirty with 30 clothing challenge that I first saw here, but I think it originated here. I will not be posting pictures here or anything since I’m not a style blogger. (Hello, understatement of the century!) But I am excited to give it a try. Postpartum blah-ness has me shopping too often to account for that extra ten pounds, so if nothing else it will make me freeze the spending until I have cycled through all 30 outfits. Plus it is making me keep up with my laundry. Ha. I made some pinterest-inspired muffins Friday and used the leftovers for these pancakes yesterday morning. YUM. We have a Disney trip planned in about 3 weeks, and the plan has been to stay at the Marriott in Celebration, Florida since Scott has a ton of Marriott points from business travel. Then I sat down to total the amount we’d be spending on parking, food, and tickets to the park. And after I fainted, I quickly realized that a Disney package would actually be the same price. Then I figured out that changing our trip by only one day put us on the free dining plan fall promotion. So our plans totally changed just a few weeks before the trip which is a little hard to get used to, but I’m actually looking forward to it. I admit it makes me laugh that we’ve been lots of exciting places the past year or so – Costa Rica, Vancouver, Seattle, Paris – and we have a second kid and VOILA! It’s Disney World. But I’m getting excited in spite of myself. Jude will love it, and it really does seem like the easiest possible trip with two kids under three years old. Maybe if I get my feet wet with this one, I will be adventurous again for our next one. I’m on Instagram, and I am totally addicted. (I’m Katie81 if you want to follow.) This month, I’m doing the daily challenge you can find here. It’s a lot of fun, and I love looking at what others have come up with that day as well. I’ve started planning a Mickey Mouse party for Jude for his third birthday next month. A couple of months ago, he said he wanted a Mickey party, and I figured that was perfect since we will be going to Disney just a couple weeks before the party. I’m trying to make it cute and not cartoonish, and I’ve found a lot of ideas I’ve pinned here. We can’t wait! We have been in the thick of potty training drama since February. And I mean cleaning up accidents ALL THE TIME with the exception of a streak of success in May. All. The. Time. I am hoping for a post on that sometime soon, but I don’t want to curse anything by claiming a certain method or idea has finally worked. More soon on that though. I’ve learned a lot. And then again just learned that same timeless parenting lesson I already knew. I hope the fall air is clearing some cobwebs for you as well and that you are finding some things to encourage and inspire. Previous postreading and rambling. and chickens. Would love to have you stop by my blog sometime! Have a great week! Sounds like some fun internet happenings. I love catching glimpses of those cutie pies on your instagram.